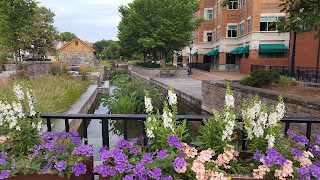 Whether you are a visitor, new to Frederick, or have lived here for years, the downtown is always changing. 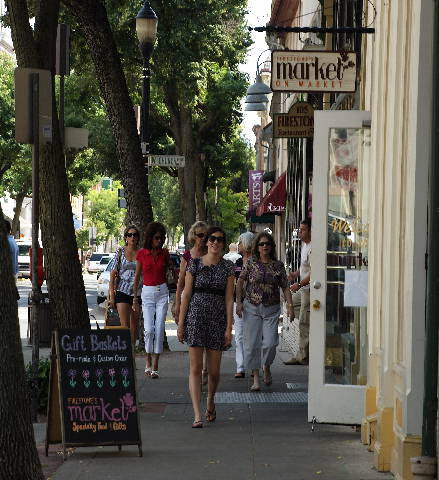 A steady stream of new shops, new restaurants, and new services await you. Here is a list of 26 businesses that have opened in the last year and the month in which they opened. Links are provided if I could find them. 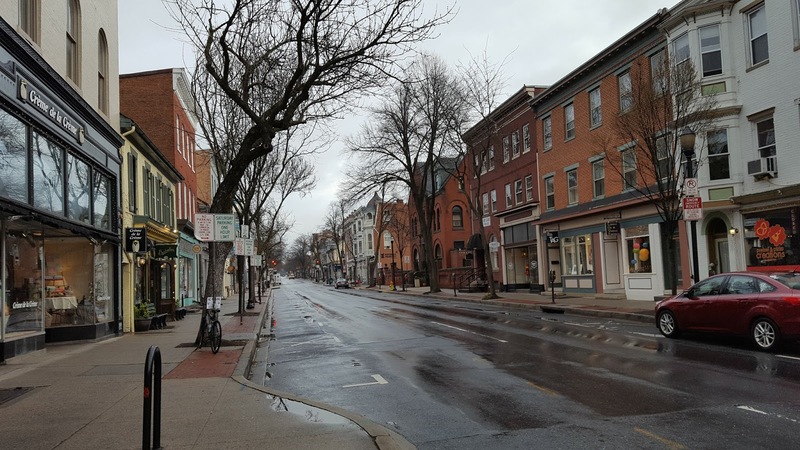 This list was provided by Leeann Dickerson of the Downtown Frederick Partnership. You can read more about the Partnership below the list. Here are some upcoming events in Frederick Maryland, for April 2017. 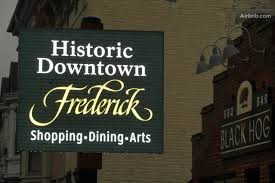 For more details about the upcoming events go to the websites for the Downtown Frederick Partnership, Celebrate Frederick, or the Tourism calendar. Bulk Trash – City of Frederick Freecycle Roundup, April 22, 8 a.m.-2 p.m, at the Public Works facility, 111, Airport Drive East where bulk trash and reusable goods are collected and separated. Bike to Work Day – May 19 – see biketoworkmetrodc.org for details throughout DC and Maryland. I asked Rick Rehling, from JK Moving Company to give Frederick homeowners some tips on packing and getting ready to move so that blog readers can have a better moving experience. Rick's advice comes from JK Moving and is shown below. For additional information or tips, contact Rick directly at Richard.Rehling@JKmoving.com. For anyone moving this year or share with any friends or family that may be moving. Here are 10 Moving Tips to Make your Move Worry Free. When packing your things, label each box with what the contents are, and what room it will be going into. a) Instruct your movers to place each box in its designated room so when you are ready, you can start unpacking room-by-room. This will make the moving process more manage able and organized. b) Label on the side of the box, as opposed to the top, to ensure visibility even when the boxes are stacked on top of each other. Wrap breakable items in clothing. a) Instead of buying endless rolls of bubble wrap, use what you already have to wrap breakable items. b) Not only are you saving money, but you end up saving time by packing both clothes and items simultaneously. Take a photo of how your electronics are connected before disconnecting the wires. a) Nothing is more time consuming and frustrating than having 100 different wires that go in the back of your computer and having to remember how they were connected. b) Before packing your electronics, take a photo of how all the cords are connected. When you get to your new home, you can then pull up your photo and quickly reconnect and power things up without having to spend hours trying to remember which cord plugs-in where. Vacuum seal your clothing a) To save on space in boxes, it’s often a good idea to vacuum seal your clothing grouped by season. b) Out of season clothing can remain sealed and in storage until you are ready to take them out months down the line. b) Organization is the best way to give yourself a discount on your Move – Why incur the cost of moving unused/unwanted items. Change your address at least two weeks before moving. a) You will want to ensure you get all your important statements and letters on time and in the right location, so changing your address ahead of the move is extremely important. b) You no longer have to go straight to the post office to change your address; people can now go online to the U.S. Postal Service website and do it directly from there. Use laundry baskets and suit cases for packing personal or immediate need items. Moving trucks only have so much space; it’s important you use space wisely. Laundry baskets and suitcases are, more likely than not, coming with you to your new home. Instead of sending them off empty, you can use them to pack the things you deem necessary for immediate use in your new home; things like shampoo, paper towels, soap, toilet paper, sleeping clothes, etc. Don’t buy groceries in the two weeks prior to moving. a) Make sure that your last trip to the grocery store is at least two weeks prior to moving. This will give you a chance to gradually empty out your fridge and you will end up wasting a lot less food. b) If it’s moving with you, remember to defrost and clean your refrigerator at least two days before moving. Put tape or plastic wrap around the openings of toiletries so it doesn’t make a mess. Avoid accidental messes by covering the opening of your toiletries with plastic wrap and then putting the tops back on. Frederick Ladies – we all have extra pairs of earrings we don't wear anymore. Did you know they can be turned into $$ to support a Frederick Art Club fundraiser. 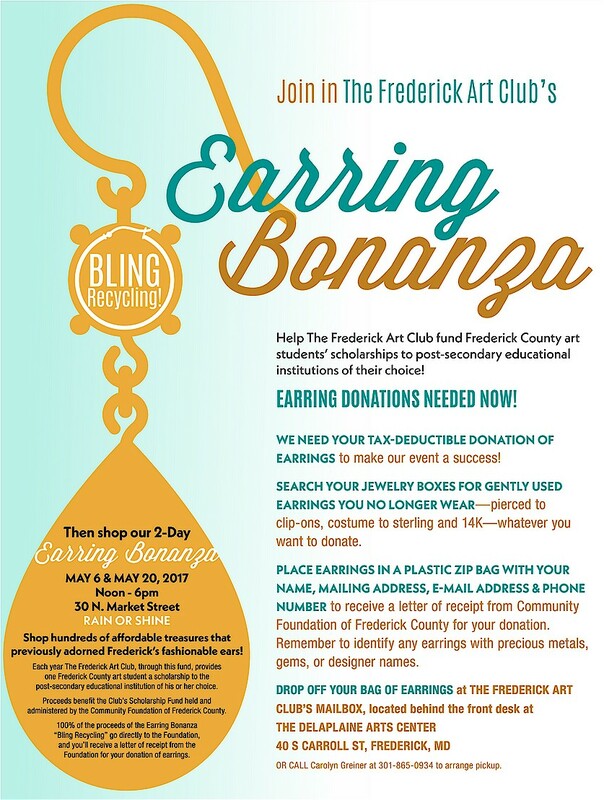 Now is the perfect time to clean out your jewelry boxes, and gather together those earrings you don’t wear anymore and donate them to the Frederick Art Club (TFAC). The club will then hold two Earring Bonanzas (hundreds of earrings at affordable prices!) in downtown Frederick on May 6th and May 20th. All proceeds go to the Frederick Community Foundation to continue an art student scholarship that TFAC provides each year. See flyer for details, or contact me directly. 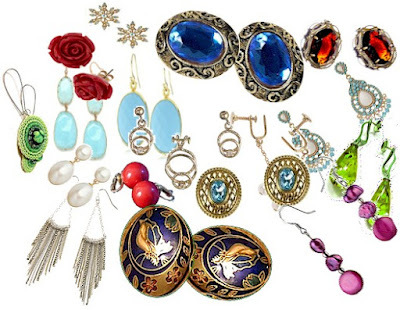 We will need your donation sometime in the next few weeks to process the earrings and get them ready for the Earring Bonanza. Then, come shop at the Earring Bonanza in May! 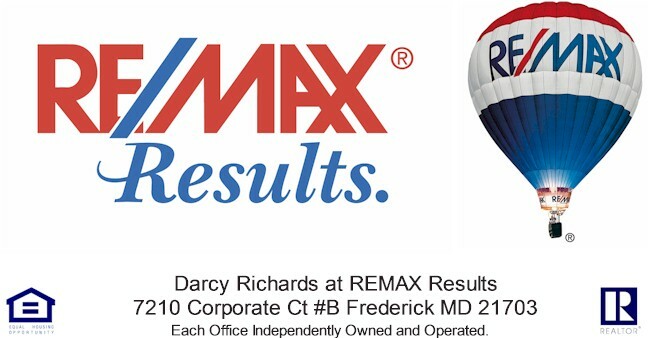 The sales event will be held on two dates, May 6 and May 20 from Noon to 6 pm., downtown, outside, at 30 N Market Street in Frederick MD. Rain or Shine! I have a great idea for a book - now what? Classes start March 24, so sign up soon! Each class costs $75; early bird registration is $65. Classes are held at Cowork Frederick, 122 E. Patrick St., Frederick MD 21701. 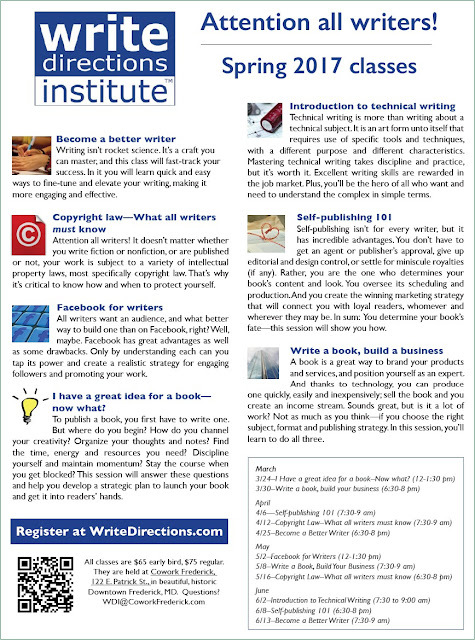 Learn more at Writedirections.com. Click on the graphic below for a full sized image. Here are just of few of the many events in Frederick in March 2017. For more details about the upcoming events go to the websites for the Downtown Partnership, Celebrate Frederick, or the Tourism calendar. 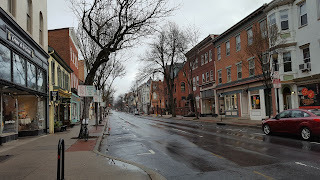 March 4th, First Saturday, Hidden Spaces and Cool Places, 3:00pm – 9:00 pm downtown Frederick. Frederick Reads, author Bill Bryson, Sunday, March 5, 7:30 PM – 9:00 PM. 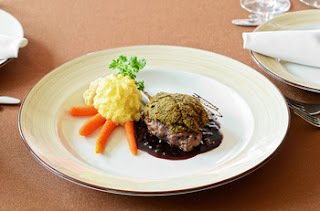 At the Weinberg, 20 W Patrick St, Frederick, MD 21701. 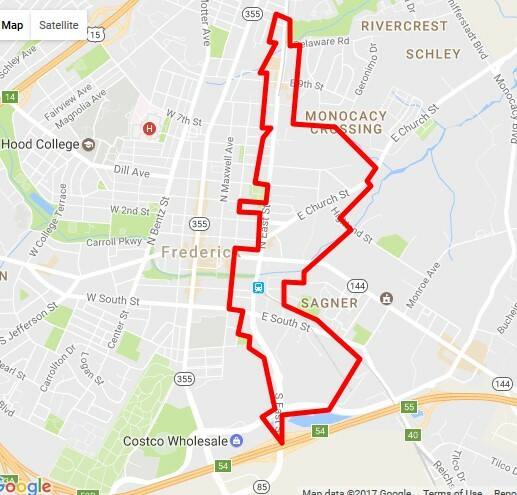 Frederick Restaurant Week, Monday, March 6, 10:00 AM – Sunday, March 12, 11:00 PM. A seven day event. Restaurants offer multi-course meals at pre-fixe prices. Carillon Recitals – March 6 & 20. Twice monthly concerts Sunday 12:30-1:00 pm, Baker Park Carillon. Meeting of the Minds, Artists Coffee Sunday, March 12, 10:00 AM – 1:00 PM, The ArtistAngle Gallery , 124 S Carroll St, Frederick, MD 21701, Coffee and conversation with other artists: visual, performance, and musicians. 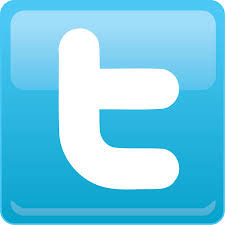 Visit the schedule for a complete listing of programs on City Cable Channel99. 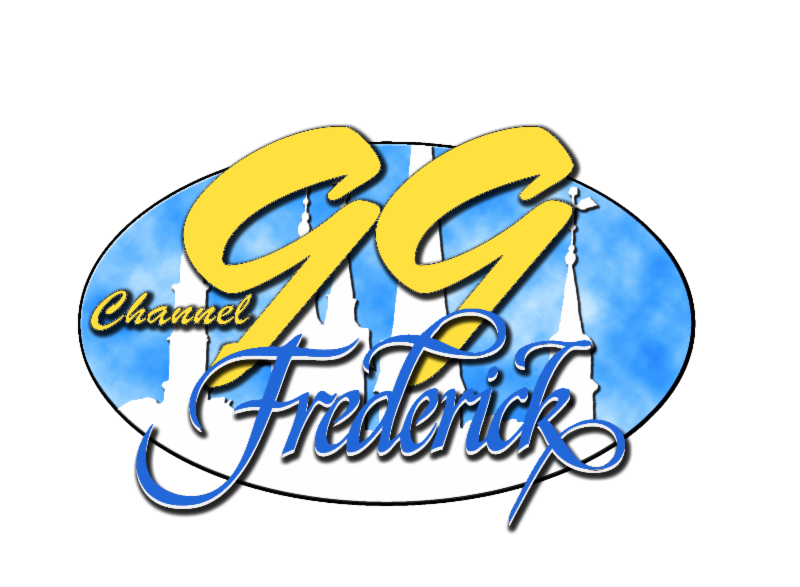 Enjoy the following productions by The City of Frederick Audio Visual Department. 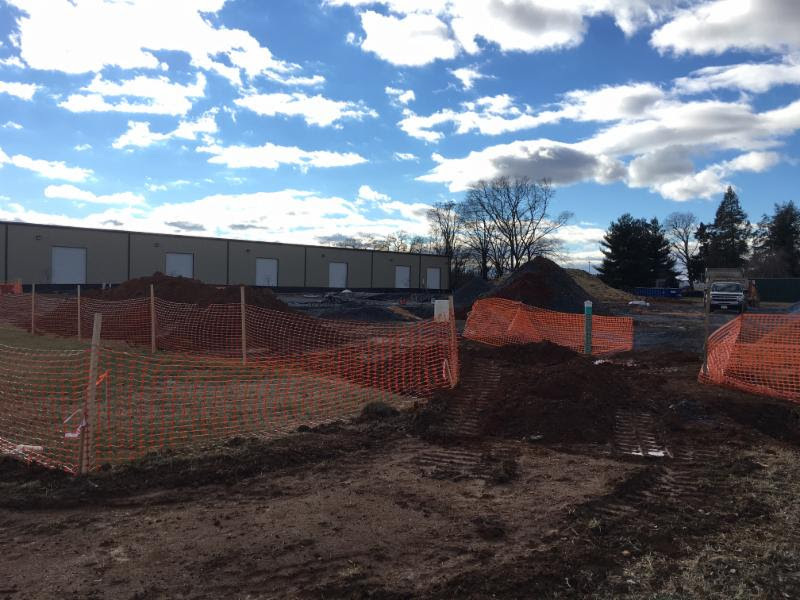 The City of Frederick's wastewater treatment plant is undergoing a multimillion dollar construction project to meet the latest Maryland Department of the Environment standards for nutrient removal. 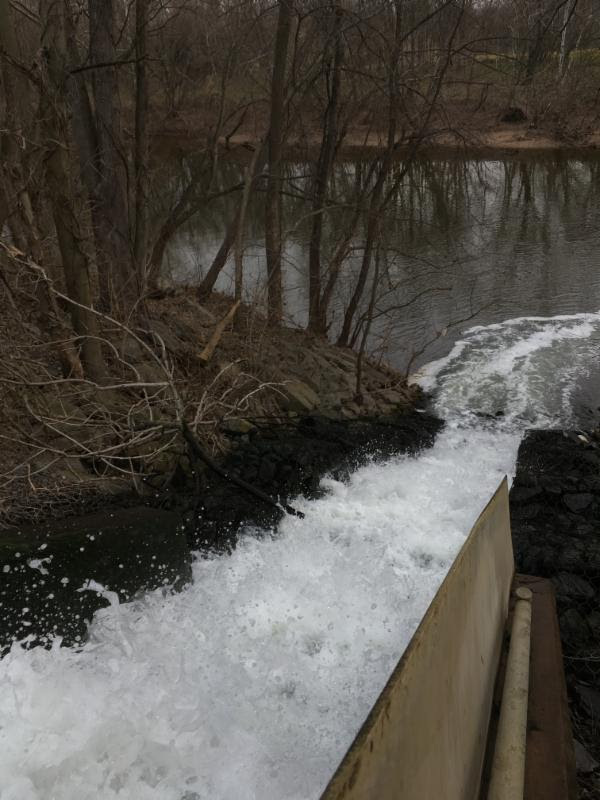 Clean water from the plant goes back into the Monocacy River and eventually into the Chesapeake Bay. 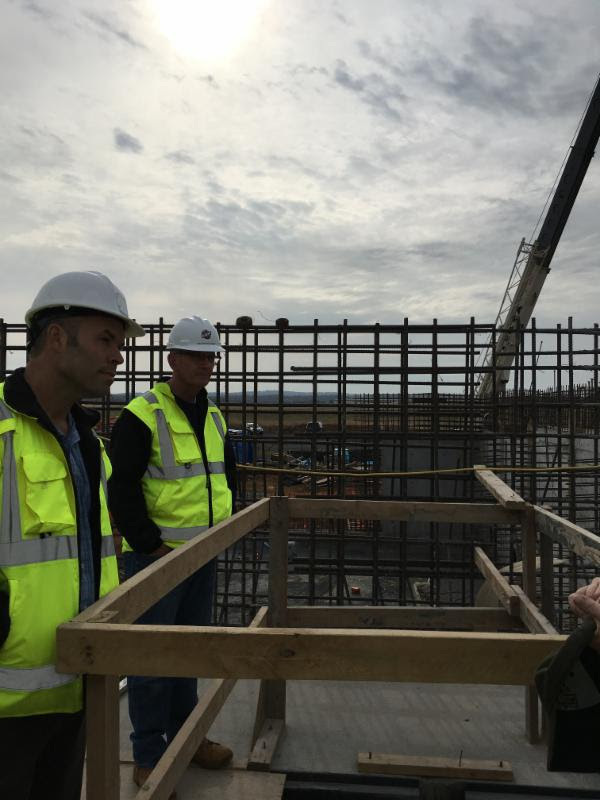 Director of Public Works Zack Kershner and Mayor Randy McClement inspect construction at the wastewater treatment plant. The Weinberg Center for the Arts' season continues with a wide variety of entertainment. Trumpeter and vocalist; distinctive medley of classic jazz, world percussion, and old soul. Author, commentator, charms audiences with warmth, wit, and dry, self-effacing humor. recommended for grades 3-9 in connection with the Frederick County Public Schools social studies curriculum. For information on all upcoming events, visit the Weinberg Center Website or call the Box Office at 301-600-2828. The Downtown Frederick Partnership has a First Saturday lineup of entertainment, deals, and amusement. Check out the complete schedule for March 4 and future events. The City of Frederick's Audio Visual Department produced the "Laboring Sons" video about the historic African-American cemetery in Frederick. In 1837, a group of enslaved and freed blacks organized the Laboring Sons Beneficial Society to establish a cemetery of their own. Learn what has happened since in Cary Wider's first documentary, "Laboring Sons," which had its premiere, followed by a panel discussion of history, Feb. 21.
body-worn cameras, gang awareness, drugs, police programs, personal safety, identity theft, digital security and human trafficking. The summit is a free event but, registration is required, and space is limited. For more information, contact Michele Bowman, 301-600-2091, or mbowman@frederickmdpolice.org. Since 1991, Clustered Spires Golf Club has operated as the first Frederick County public golf course. The United States Golf Association selected Clustered Spires to host a USGA Open Qualifier in 2014, and nationally ranked Aneka Seumanutafa, youngest champion of the Maryland State Golf Association Women's Division Amateur Championship, claims Clustered Spires as her home course. Clustered Spires: 185 acres, 3-tier, all natural turf tee area, two practice putting greens, a practice bunker, hitting mats, an 18-hole course and pro shop. 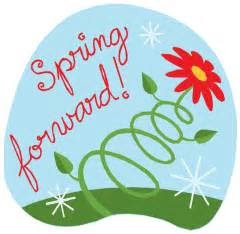 Daylight Saving Time begins at 2 a.m. March 12. Emergency responders recommend changing batteries in your smoke alarms at the same time you change your clocks. At Frederick Municipal Airport, construction continues to make room for more runway. The federally funded project involves demolishing 14 buildings owned by The City of Frederick. 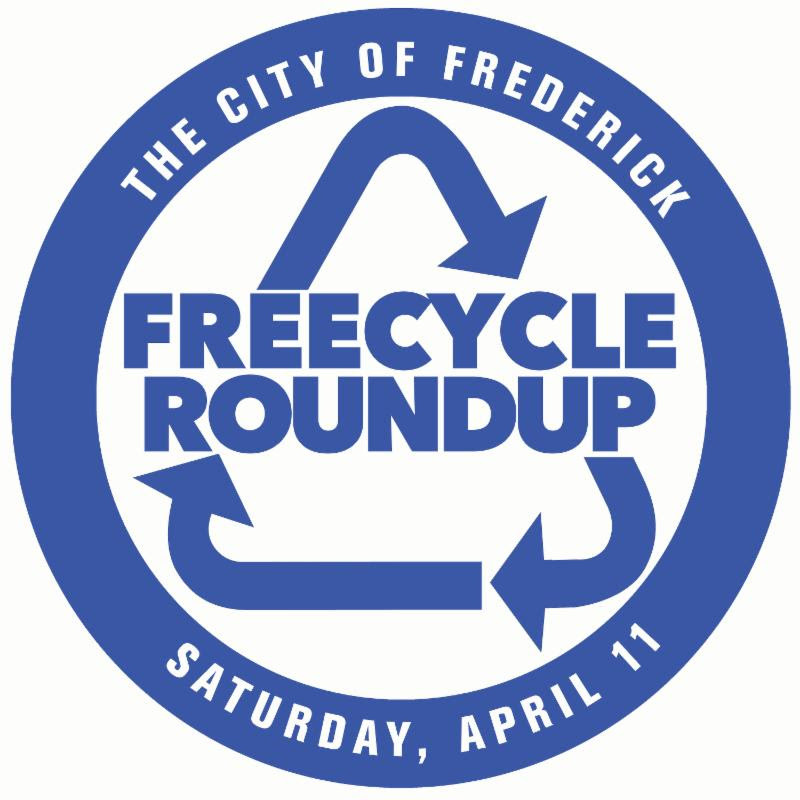 Frederick's next semiannual Freecycle Roundup, April 22, will dispose of bulk "trash" and offer an alternative to filling up the landfill with reusable items that could benefit non-profit organizations. 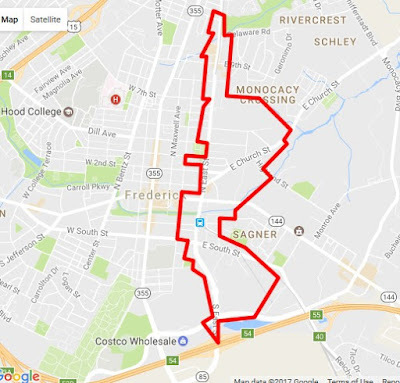 The Freecycle Roundup is open only to residents of The City of Frederick. All non-profits interested in the items that are dropped off are invited to participate. April 10 is the deadline for nonprofits to sign up. To register your non-profit, make sure you contact Tammy Albaugh by April 10 at talbaugh@cityoffrederick.com or 301-600-1680. Fitness offerings at the William Talley Recreation Center now include the Bang fitness dance classes. You can drop in or sign up for weeks. Bang's combination of hip-hop, aerobics and dance is suitable for all fitness levels and all ages. 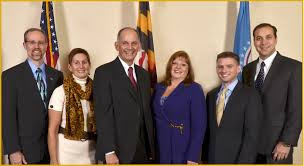 For a complete list of programs, go to the website, and for information, call 301-600-1492. Mayor McClement has set aside the fourth Tuesday of each month from 2-6 p.m. to meet informally with citizens to discuss topics or issues of their choice. 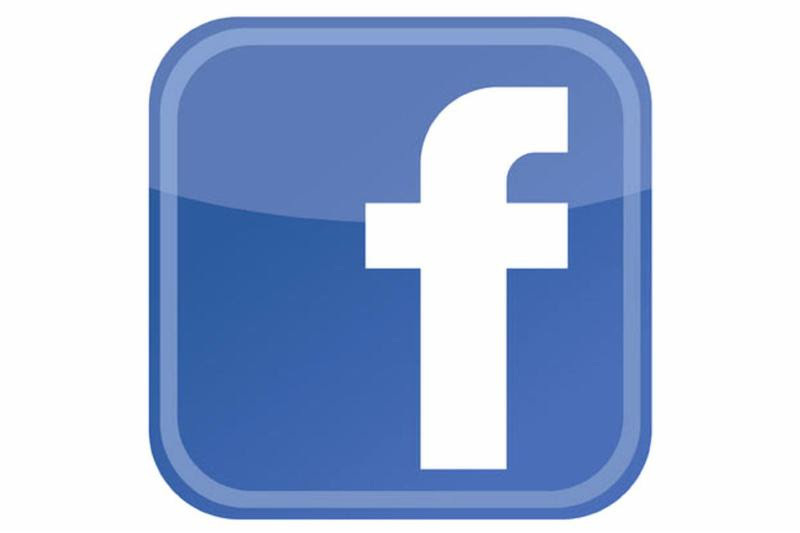 The next "Talk with the Mayor Tuesday" will be on March 28. The Mayor's office is located in City Hall at 101 N. Court St. No appointment is necessary, and citizens meet with the mayor on a first-come, first-served basis. For more information, contact Pam Stocksdale at 301-600-1184 or email pstocksdale@cityoffrederick.com. Free tax preparation service sites are open for business throughout Frederick County. 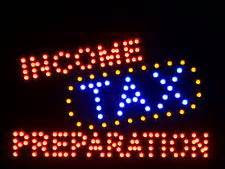 The Volunteer Income Tax Assistance (VITA) program provides free tax preparation and filing for households generally earning less than $64,000 annually. To find a preparer, use the VITA locator. The Schifferstadt house, which is a museum at 1110 Rosemont Ave., was one of 24 locations nationwide this year to make the National Park Service's exclusive list of national historic landmarks, "places that depict a broad range of America's rich, complex history." In the January announcement, the National Park Service stated that as it enters its second century of service, it strives to tell a more inclusive and diverse story of America's history. 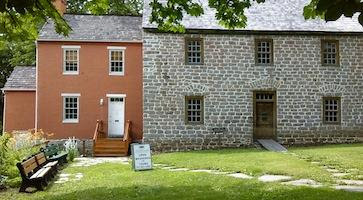 The Schifferstadt house has original German architectural elements dating to the 18th Century.